Responsible for Datorama Japan operation, sales, and strategy. 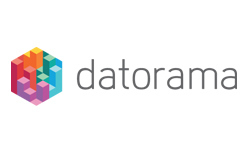 Datorama is a U.S.-based marketing intelligence company that provides the world's first marketing data hub and dashboard to help executives, analysts and IT professionals quickly manage vast amounts of marketing data. Prior to Datorama, he has served as Japan country manager for Sizmek (formerly known as MediaMind) for 10 years. During Sizmek days, he has built strong knowledge and experience around ad technology platform, branding advertising and attribution analytics while working with global agencies such as Dentsu and WPP and global advertisers such as P&G, Toyota and KDDI. In 2012 he lead the strategic partnership deal with Yahoo JP around richmedia and branding advertising. Outside of professional work, he enjoys marathon, kick boxing, and cooking.